Since the dawn of time, man has stared toward the heavens and wondered aloud if we’d ever be able to use watches to order and track delivery pizza. 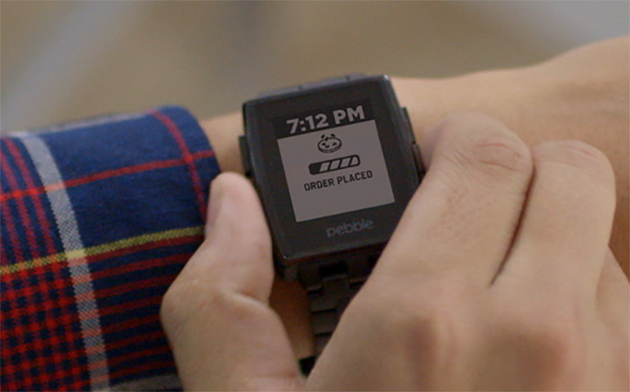 The years, and centuries, dragged on with nary a watch-based pie delivery in site. Mankind began to use hope, instead focusing in on merging food items to create different, creepier, food items. Cronuts and ramen pizza aside, the time has just about come for us to put aside childish things and order some dang supreme pizzas on our watches. Let’s get ready to rumble. 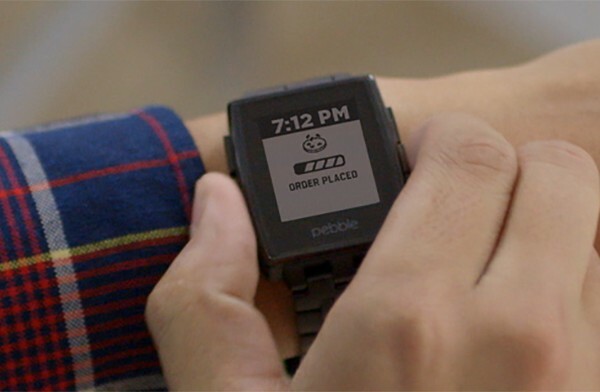 If you have a Pebble-branded smartwatch, this app is available right now as I type. If you don’t own a Pebble watch, you can download a similar app for your iPad, TV and just about every other device you own. However, these devices are not worn on your wrist so forget about them.